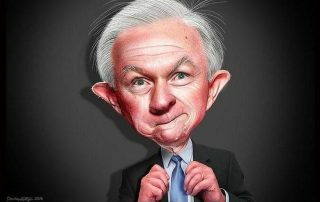 When our children study the history of the US Department of Justice, Jeff Sessions will be remembered as a contrary, contemptuous, AWOL Attorney General who helped (co-conspired with?) his Trump-hating underlings in their attempt to destroy and depose the President of the United States. Congressman Lee Zeldin (R-NY) has sent a letter to Attorney Jeff Sessions demanding to know his involvement in the decision to allow the FBI to raid the private office and home of President Trump’s personal attorney Michael Cohen. VIDEO: Could we be so lucky? 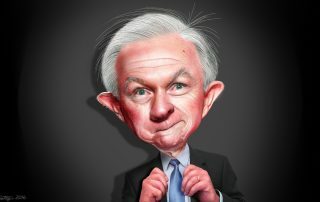 Jeff Sessions promises to leave if Rosenstein is fired. Perfect! A blessed twofer. 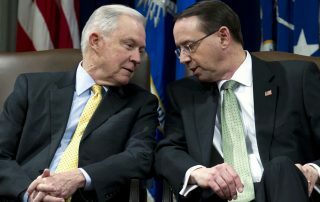 Mr. President, fire Rosenstein NOW! Consider Rosenstein’s most recent attempt to destroy President Trump by whatever means necessary. 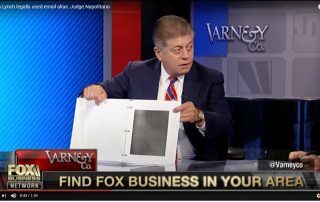 Who do you think gave the FBI approval to raid President Trump’s personal attorney Michael Cohen’s office, possibly destroying attorney-client privilege forever? Rod Rosenstein! 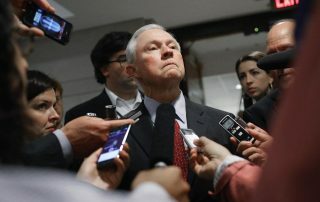 Sessions abandoned his boss early by recusing himself and giving an underling (Rosenstein, who should have been the one recusing himself) the power and authority to hire a hit man (Mueller, who should have also recused himself) to take President Trump down with his army of Trump-hating investigators. The Clintons could be indicted on public knowledge, what is in the newspapers every day. Yet, Jeff Sessions does not see enough evidence to appoint a special counsel to look into the many steaming piles of corruption surrounding the Clintons? Really? 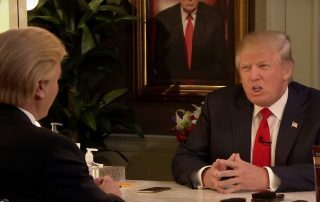 I believe President Trump has lost all faith in Sessions, as well, who abandoned his boss, allowing the witch hunt for Russian anything to begin, claiming it was his duty to recuse himself. No, it wasn’t! 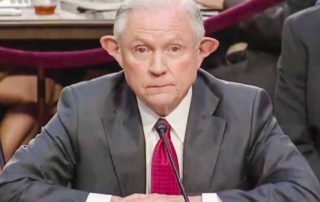 He had no need, in my opinion, to recuse himself. 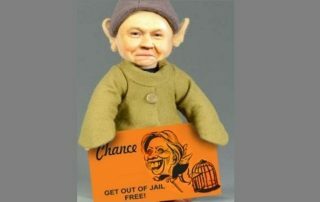 Sessions does not need the advice of a co-conspirator in the coverup of Uranium One. In fact, he needs no one’s advice at all. Uranium One is as clear a case of needing a special counsel as Sessions will ever see. 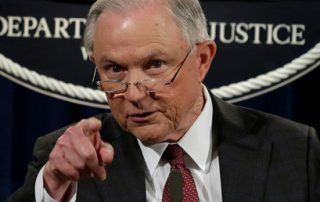 Sessions has refused to investigate the many criminal allegations against the Clintons, Barack Hussein, James Comey, Loretta Lynch, Eric Holder, Robert Mueller, et al. 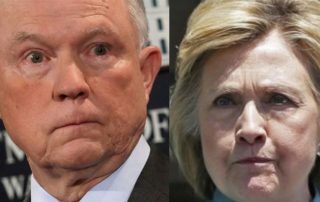 Two House Republicans demand Sessions either appoint a special counsel to investigate Hitlery, Comey, and Mueller or resign! 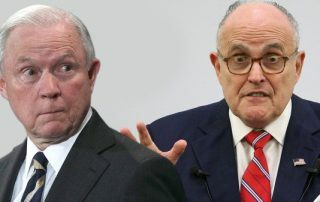 Finally, two conscientious Republicans have had enough Bizarroworld and are demanding that Attorney General Jeff Sessions either appoint a special counsel to investigate Hitlery, Comey, and Mueller or resign! 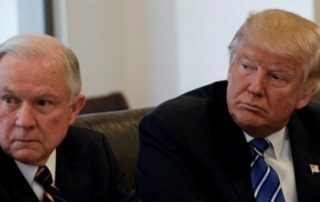 President Trump is waaaaay disappointed in Jeff Sessions and DOJ. Me too! I have a suggestion, Mr. President…. The Clintons have been involved in some very shady activity, far worse than election tampering, like Uranium One, which is treasonous and should be investigated thoroughly by Sessions and DOJ, which has done NOTHING about the many crimes of the Clintons, et al. Jeff Sessions has been a huge disappointment. The corrupt establishment machine is anti-Trump 24/7 because they know they have one of their own in probably the second-most-important position in the United States, Attorney General. This should be the last straw. Sessions is either a total wimp or there is some sort of establishment-style quid pro quo at work here. In either case, President Trump should remove Sessions immediately and replace him with a trustworthy Pit Bull like Trey Gowdy. The shakeup in Washington isn’t finished yet. 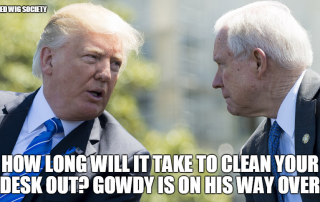 Sessions could be the next to go. Personally, I thought Giuliani was the best choice for Attorney General from the beginning. 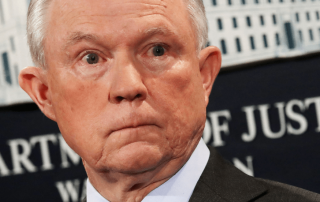 A very wimpy move of Attorney Jeff Sessions to recuse himself from cases involving his boss, President Trump, when the President needs him more than ever. It was also incredibly disloyal. So, what to do with these parasites? FIRE THEM! That is exactly what Jeff Sessions did this afternoon, a mass firing of 46 US Attorneys, all of them appointed by Barack Hussein.